Faced with rapid convergence, banks and other payment, players must collaborate and innovate to remain relevant. Today’s industries are changing dramatically. Increasing digitization and the new business models it has made possible have transformed industries and will continue to do so. At the same time — as a result of the rapid advance of new technologies, and changes in consumer preferences and behavior — boundaries between previously disconnected industry sectors are disappearing. These trends have opened up doors for incumbents and players from different industries to collaborate and co-create new value and growth opportunities. In terms of payment services, convergence is drawing together different sectors in which payments are used, including banking, transportation, ticketing and commerce. Telecoms and banking: Telecoms companies are making the most of their large customer bases and their mobile device market penetration to provide mobile banking services for non- and under-banked customers. Social media and retail: Social media platforms are increasingly moving from an advertising-centric to a commerce-based business model, with fully integrated payments functions (also used for social payments) — and they are using transaction data to create personalized offers. E-commerce and consumer finance: To increase appeal especially among younger generations, “buy now, pay later” options — offering the opportunity to pay in installments — are available to customers, and can be selected with “one click” during the online shopping checkout process. Transport and travel: A variety of options, such as single payment for multi-modal journeys (e.g., a journey by train and bus), pay-as-you go transportation and electronic tolling are providing convenience and removing frictions within the transportation and travel sector. Automotive and telematics: Car manufacturers are offering the ability to make in-car purchases (e.g., for parking, telematics solutions or car functionalities). Travel and insurance: Situation- and location-based on-demand insurance with an instant payment solution. 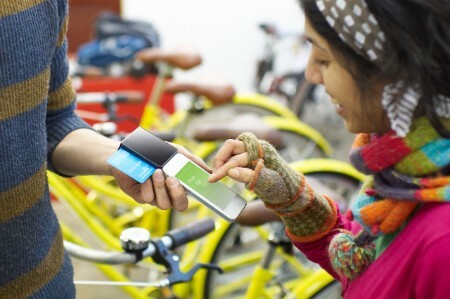 Payment services have fueled the convergence of various industries. Convergence is increasing where there are large, established digital customer bases and where the payment transaction or channel can be used as a connector to, or facilitator for, other services. The creation of cross-industry payment services is typically initiated by entrants from other market sectors but developed, operated and commercialized jointly with financial institutions. However, as convergence continues apace, the new entrants are gradually expanding their financial service capabilities and resources to capture more value. For instance, after initially establishing a mobile payment system in Serbia, the Norwegian telecom company Telenor has taken the next step toward offering comprehensive banking services by acquiring KBC Banka in 2013, together with Société Générale. Another example is Alipay, the payment service of Chinese e-commerce giant Alibaba. According to Mary Meeker’s 2017 Internet Trends Report, Alipay has more than 450 million users, and holds a 54% share of the Chinese mobile payments market. Alibaba has consolidated Alipay and all its financial service activities into a full-scale bank under the brand Ant Financial, demonstrating the potential for large retailers to make the transition into banking. Regulatory initiatives around the world — such as Open Banking — and instant payments are tearing down existing market barriers in the payments industry. At the same time, new global payment systems are evolving outside of the traditional financial providers’ and banks’ ecosystems. Players of any kind — including merchants, telecoms, insurance companies, utilities, car manufacturers and social media platforms — increasingly have the opportunity to develop their own payment processes. This will fuel cross‑sector convergence but, at the same time, lead to more players encroaching on the territory of traditional banks and payment providers. Convergence, however, doesn’t just represent a threat to established payment players. Convergence can help banks and other payment players generate growth. By mixing their capabilities with companies from other industries and by challenging established market assumptions, front-running payment providers can make sure that the new whole is greater than the sum of its parts. For successful ecosystem builders there is substantial value available: high network or platform value, customer and ecosystem party lock-in, along with reduced or shared risks and reduced resources required to create these new markets. However, to reap the potential benefits of becoming a leader in a new ecosystem or entirely new market, a new and innovative way of thinking is required. It will no longer be sufficient to view payments as just a utility proposition — commoditized, undifferentiated and scale‑driven. The payment process must now be reimagined as a pathway to added value or another related service. Converged payments offerings incorporate the broader commercial and transactional context within which a payment takes place — for instance, electronic tolling, in-car purchases of telematics services, or single ticketing for multi-modal travel journeys. Payment-proximate services, such as consumer financing (“pay later”) or currency exchange, are increasingly a way for payment providers to enlarge their value propositions. The payment options available to consumers are increasing rapidly: virtual and crypto currencies are expected to gradually replace physical money in the coming decades. The emergence of every new digital payment platform or transaction brings with it a new opportunity for convergence and growth. One area in which payment players should consider exploring is how payers are recompensed for the use of their data. Customers have started to recognize the value of their personal data and are seeking compensation for sharing it. Consequently, payments are likely to evolve over time into a concept of “value transfer” whereby non-monetary value — such as loyalty, time, or customer consent to use transaction or behavioral data — will become increasingly accepted as “payment” in exchange for goods and services. Payment data is a key part of a customer profile and a behavior indicator. Shared payment data is a significant asset enabling new service opportunities, from financial advisory to health guidance. Banks and payment providers need to adapt to industry convergence and need to create new sources of revenue, because fees from facilitating pure payment transactions are likely to be significantly eroded.